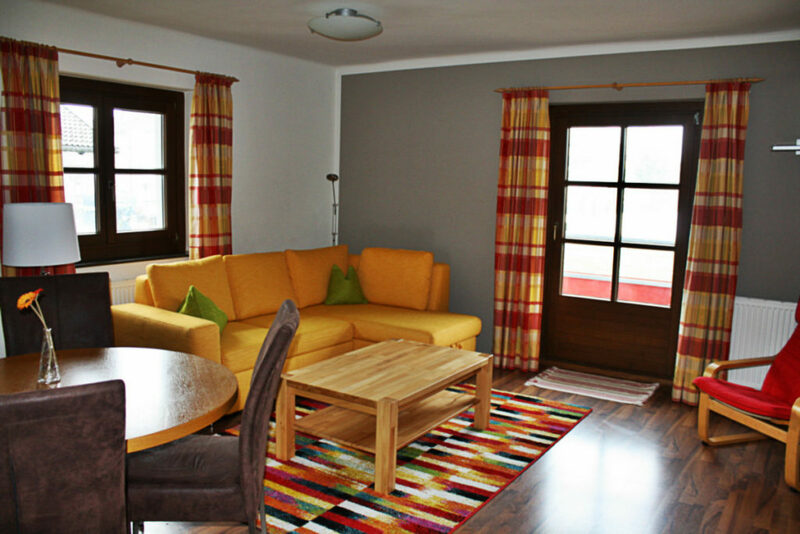 Our apartment house offers 5 spacious apartments for 2-6 persons and is located in the center of Leogang. The perfect place for your winter, and summer vacation. 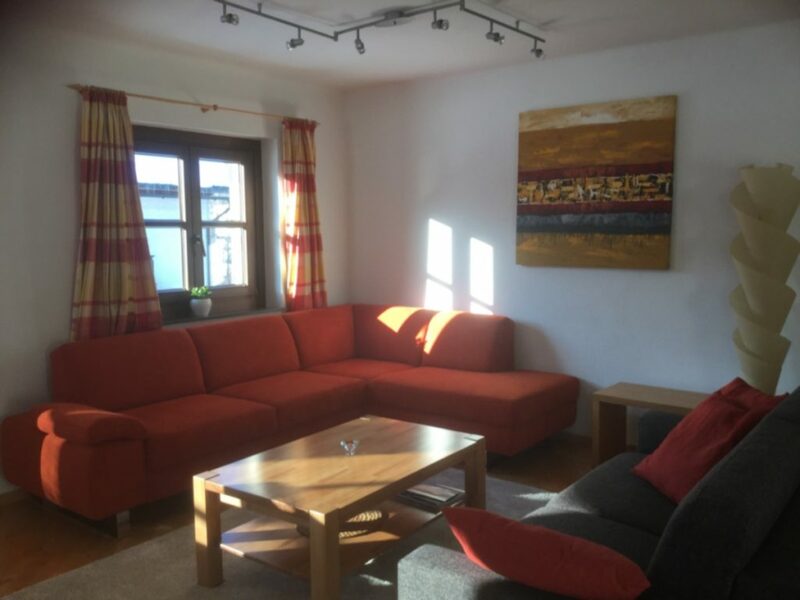 We offer 5 new self catering apartments in the centre of Leogang, perfectly placed for winter and summer holidays, Bergblick apartmenthouse is a 2 minute walk to the free ski-shuttle bus and cross country skiing routes Steinberg and Asitz main lift 3 km). Opposite is a family floodlight-slope .The supermarket is opposite the apartmenthouse.Several restaurants in the village and skirenting shops. 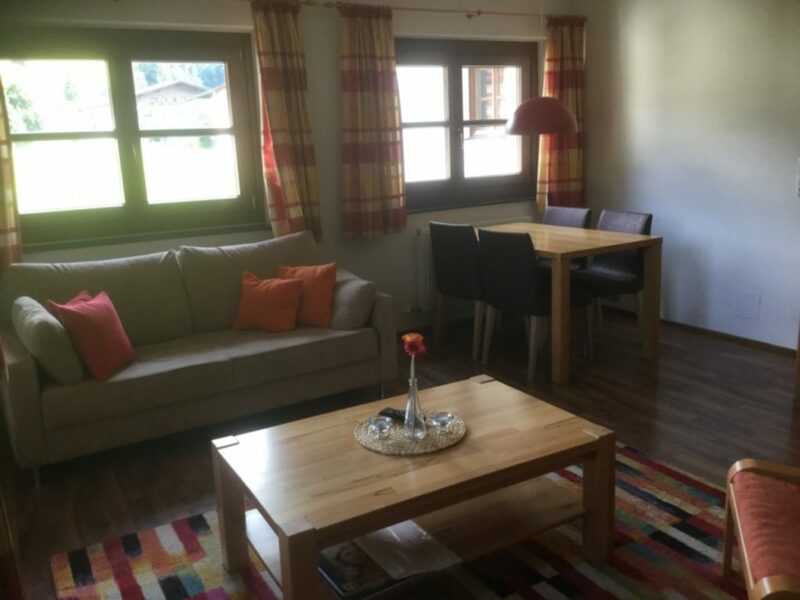 In summer Bergblick is only a 3 minute walk to the outdoor swimmimg and leisure centre with tennis courts. Mountain biking at "bike world Leogang" is 10 minutes ride away. Of the 39 "Golf Alpin" courses, 5 are 20 minutes by car plus 20 more within 1 hour. You can choose from 5 modern, spacious apartments of 45-75 m2, for 2-6 persons. The balcony facing south, overlooking the village and the mountains. 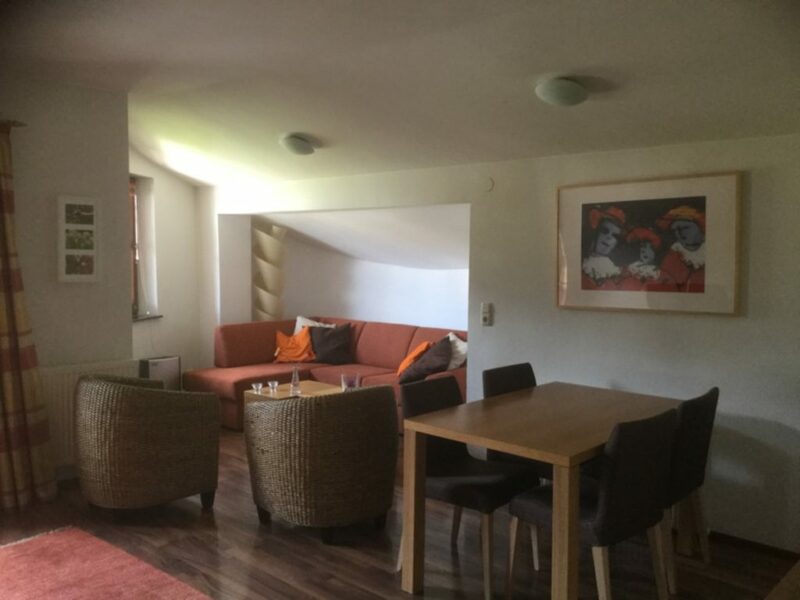 Eine Wohnung von 46 m2. Ein Schlafzimmer für 2 Personen und eine Schlafcouch im Wohnzimmer, Dusche, WC und Flur mit Garderobe. 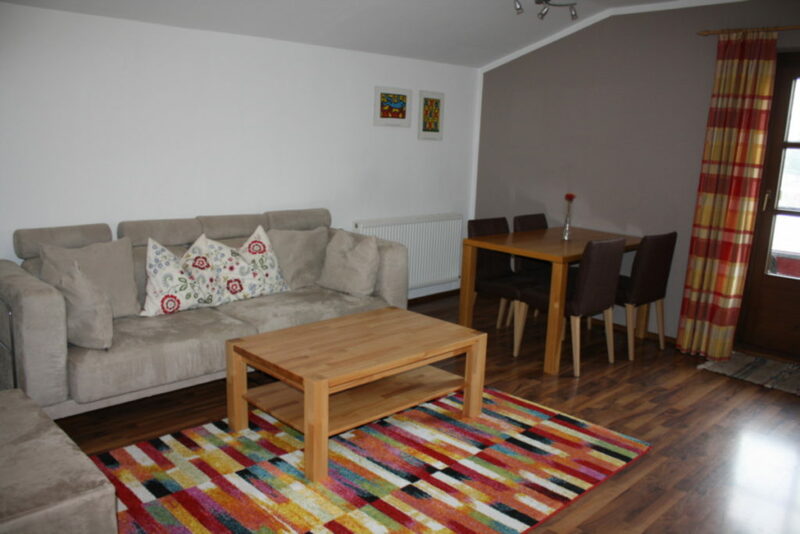 has a separate kitchen, split level, living room with additional sofa bed and a big sleeping room for 3 persons. Besides this apartment has a bath and a shower, but sadly no balcony. You have a nice view from the living over the mountains and village. 3big bedrooms ( one has a balcony), ling/kitchen with balcony facing south. has a living room with circular bay window, kitchen, bathroom with mountain views, toilet, 2 big bedrooms ,additional sofa bed (living). A balcony on the south side overlooking the village and the mountains and Asitzbahn. For golfers, the area is a paradise. More than 30 golf courses, 9 and 18 holes, are within 20-60 minutes.